If you are an automotive novice, you might not have heard of a cold air intake before and you probably have no idea on what it does or why it is important. For car enthusiasts, on the other hand, this is one of the most popular vehicle upgrades because of its ease of installation and economical price while being able to provide a significant improvement in performance. 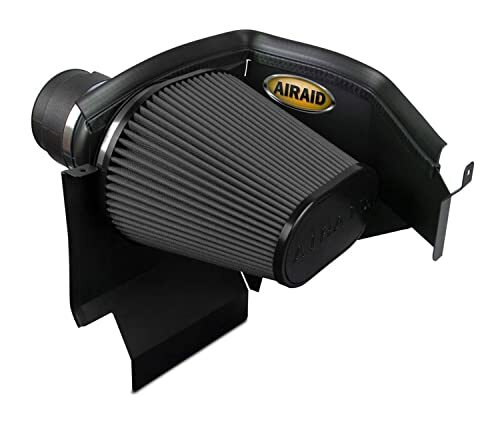 In the rest of this post, we will briefly tackle five of the top picks for the best cold air intake, as well as the reasons why they are recognized as amongst the best in the marketplace. We will also discuss some of the most important considerations that will help you to weigh the pros and cons of the possibilities. Improve Horsepower: One of the most obvious benefits would be increasing the power of your car. A cold air intake has oxygen and allows the air to cool, which is basically how it is able to deliver a positive impact in horsepower. Increase Throttle: If you do not upgrade to a cold air intake, there is a tendency that your vehicle will have a slow response, especially when you are driving uphill. This is an upgrade to having more air that will be needed for combustion and to produce more throttle. Affordable Price: This is one thing that will largely depend on the product that will be chosen. Generally speaking, however, the cost is more practical compared to other upgrades that can be executed to improve torque and horsepower. 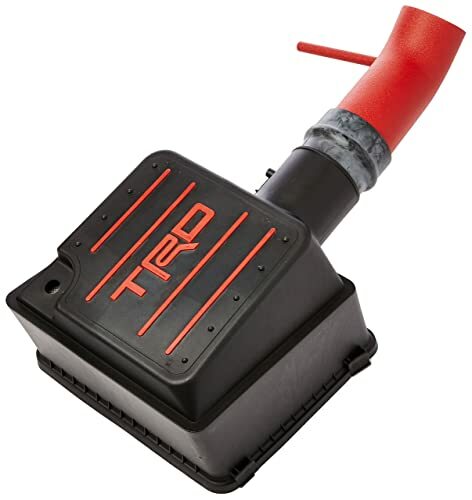 Longer Engine Life: A cold air intake comes with a filter that will be basically responsible for sucking cold air. It is able to block contaminants that can get to the engine and that can possibly shorten its functional life. Ease of Installation: Generally speaking, cold air intakes do not require professional knowledge in terms of their installation. You can complete it even without a helping hand, provided that the manufacturer has clear instruction on how it can be done. Increased Gas Mileage: One way by which you can enjoy long-term savings with a cold air intake would be through gas efficiency. The gas will be burned better and will last longer, making it offer significant benefits in your wallet. Installation: You do not need to pay the professional services of a trained mechanic to install a cold air intake. You can do it even on your own. Choose a product that is user-friendly. The manufacturer must also provide you with detailed instructions on how its assembly can be completed. Filter: It is also important to evaluate the quality of the filter. It should be reusable and washable. This means that you will be able to save a lot of money as you can just clean the filter instead of buying a new one as a replacement. Durability: Take the time to evaluate the overall construction and the materials that are used in the cold air intake. You can also read reviews to make sure that you will pick a product that is not easily prone to wear and tear. Size: To determine the size that is right for your vehicle, you will have to look under the hood and see which size is best for your needs. 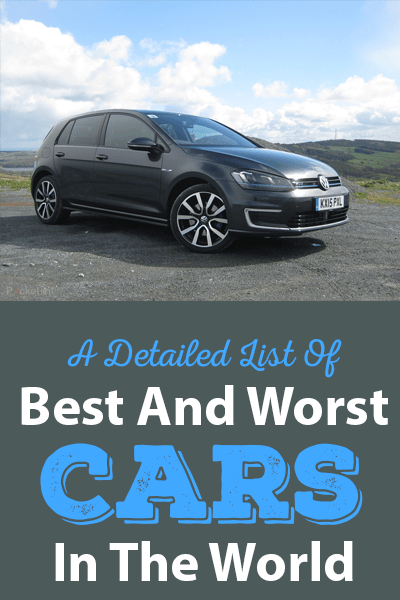 The engine space will dictate what to buy. Luckily, smaller ones do not always equate to being inferior in terms of quality compared to their larger counterparts. Warranty: Most of the options that you will find have a warranty that lasts for one year. If possible, look for one that comes with a longer warranty, possibly a lifetime. This will guarantee satisfaction with the purchase that you will make. Price: It is surely tempting to buy the cheapest product that is available. Personally, I won’t decide on the sole basis of price. You should not be hesitant to spend more if this is tantamount to enjoying a product that can deliver superior functionality. Reviews: At this point, if you still find it hard to decide which one to buy, go online and look for more reviews from other users. Their real-life experiences will provide valuable insights that will make it easier for you to weigh the good and the bad of the choices that you have in mind. In this section, we will identify five of the best choices that should be under your radar as well as some of the things that make them exceptional. 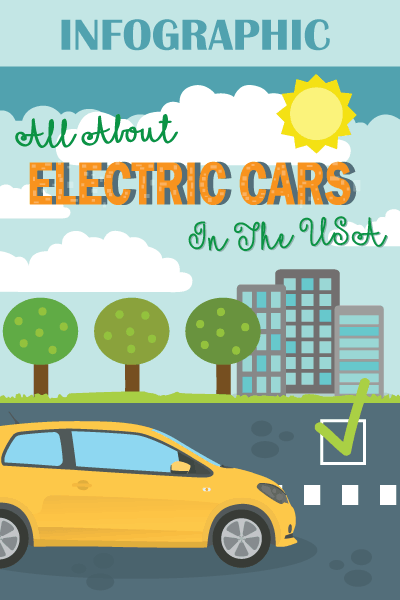 Looking for an easy way to improve the torque and the horsepower of your vehicle? This cold air intake has got your back. Yes, it can be expensive, but once you experience its performance, it will be easy to realize that it can indeed provide bang for the buck. When it comes to installation, there is no need to worry. The manufacturer provides comprehensive instructions that will be almost effortless for you to follow. There is no complication associated with its assembly, even if you are not a trained automotive mechanic. It is also worth highlighting that it comes with a high-flow design, which can also be regarded as one of its best assets. The latter will allow the engine to breathe with a large volume of air, increasing the amount of usable power that is generated. 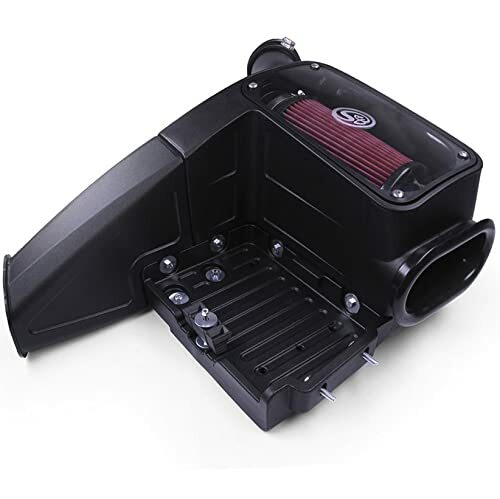 Lastly, there is a replacement filter that is provided to maintain the peak performance of the cold air intake. When the filter is done, however, you might have quite a hard time finding a replacement since it may not be easily available. The price can be quite steep relevant to the competition, but its high cost can be justified by the fact that it improves gas mileage and throttle response significantly. 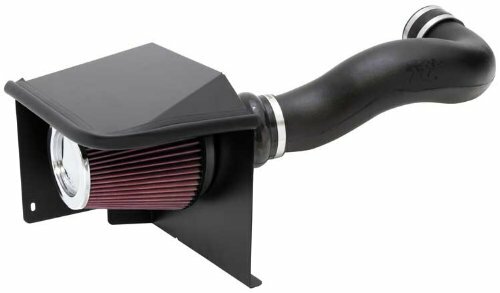 Looking at the features of this cold air intake, one that you can find to be most impressive is its technical specifications. Based on the details that have been provided by the manufacturer, it can deliver a horsepower gain of up to 17.55 HP at 4,917 RPM. The installation of the cold air intake will be easy even for beginners. The instructions provided lack clarity, but even without it, the assembly will be easy. It is believed that the entire process of its installation will take roughly only one and a half hours. The lifetime air filter is also a plus for this model. In the case of some cold air intakes, the filter needs to be replaced every now and then, which can be an added cost on your end. Good thing, with this model, the filter will work infinitely. Aside from having a long-lasting filter, it should be also pointed out that the manufacturer states that it has a service life of 100,000 miles. This, however, will be dependent on the driving conditions. 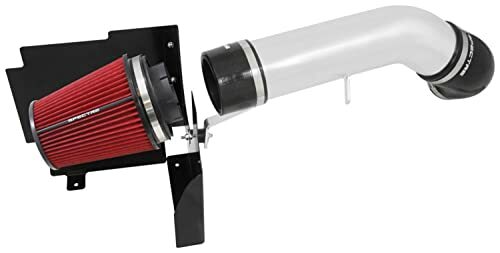 This cold air intake has a service life of 100,000 miles and the filter will last a lifetime, which are two things that could make up for its expensive price. You will be able to enjoy an easy way to improve the torque and horsepower of your car with this cold air intake in the absence of making costly engine upgrades. With the cold air dam panels that are integrated into this product, there will be a stable supply of cool air that will allow the engine to maintain its peak performance. One of the excellent features that set it apart from most of its competitors is the 360-degree air filter. It is less restrictive compared to most of the filters that are traditionally made of paper. This type of filter is also reusable, making it an economical choice. Lastly, the manufacturer is offering a No Hassle Lifetime Warranty, which should be more than enough to provide you with peace of mind. Only the finest materials are used. If you are unhappy or if the product shows signs of defects, just let the manufacturer know and they will do what it takes to remedy the situation. This high-end cold air intake comes with a washable and reusable filter. The lifetime warranty is also a plus to provide a guarantee of your satisfaction. 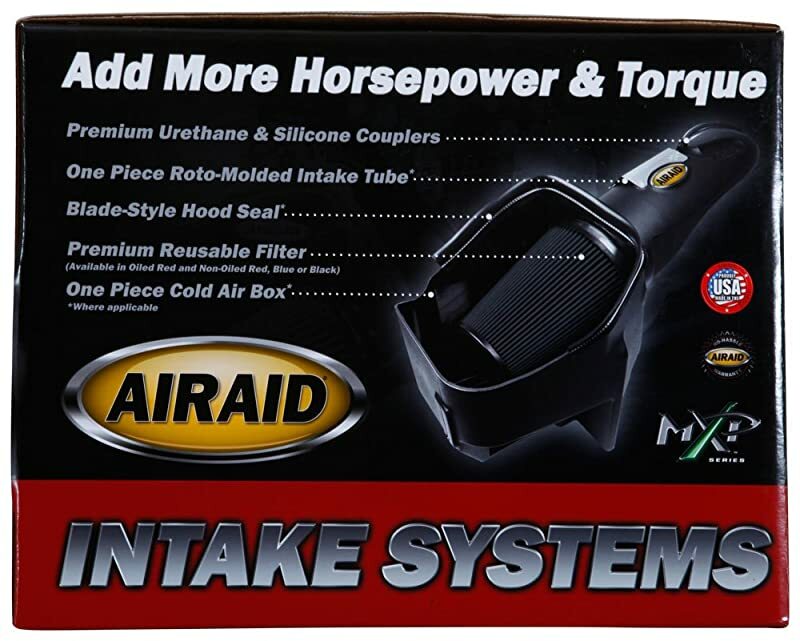 The use of this product will be effective in the significant improvement of airflow and to lower the temperature of the air that will go through your engine. One of its amazing features is the multi-layer filter that can effectively screen out contaminants. It comes with a unified design, which is a significant improvement from the previous version of this cold air intake. Because all the components are combined, less complication will be experienced with its installation. The premium silicone material that is used in the product is also a plus, which is perhaps one reason why it comes with a steep price. The material is great in terms of durability and heat resistance, as well as for providing an air-tight seal. Lastly, there are deeper and wider pleats compared to other models. There are also more pleats that you can find per filter, which improves the performance of the cold air intake. This cold air intake comes with a unified design for ease of installation. It also has multilayer filters and premium silicone construction for durability that is hard to rival. This is the most expensive of the five products that have been mentioned in this post. If you will base your decision on user reviews that are available online, this is also one of the least popular. If you look at its specifications and features, however, you will realize that it is also an impressive option. 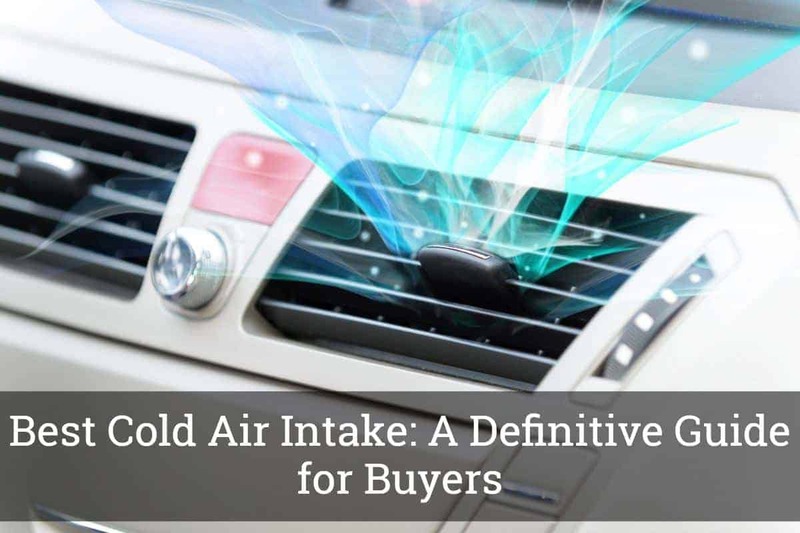 It comes with an Intake Flow Accelerator, which is one feature that differentiates it from most of the options that you can find on the market. The latter is responsible for smoothing and accelerating airflow that gets to your engine. There is also a high-flow conical air filter. It is reusable and washable, which extends its functional life and lowers the cost associated with the use of the cold air intake. It also has a custom-calibrated gauge that will make it easy to determine when the filter is asking for a replacement. Although an expensive option, this is a popular choice because of the Intake Flow Accelerator and reusable filter with a custom gauge to know if it already needs to be replaced. In sum, the best cold air intake is one of the most practical upgrades that you might want to consider for your vehicle. It can significantly improve the horsepower and torque of your engine. This is cheaper compared to other performance upgrades. Keep an eye on the five products mentioned above to make a decision that you will not regret in any way.